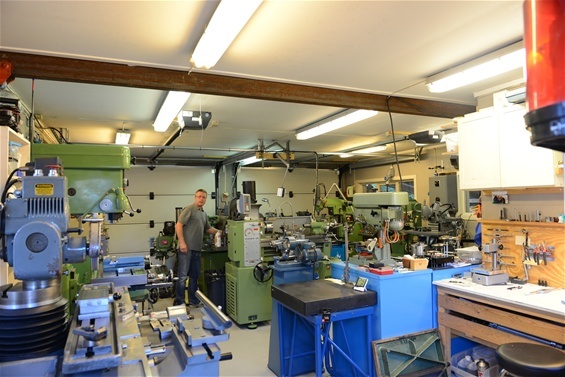 General overview of the workshop. 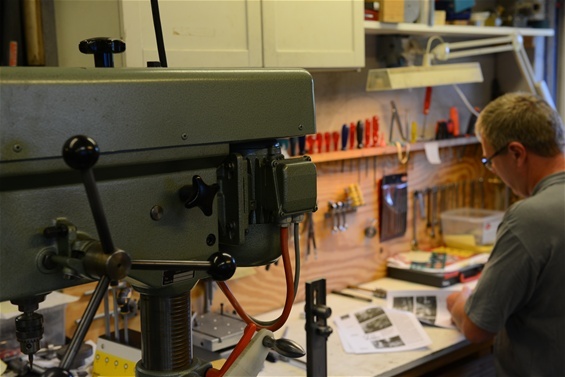 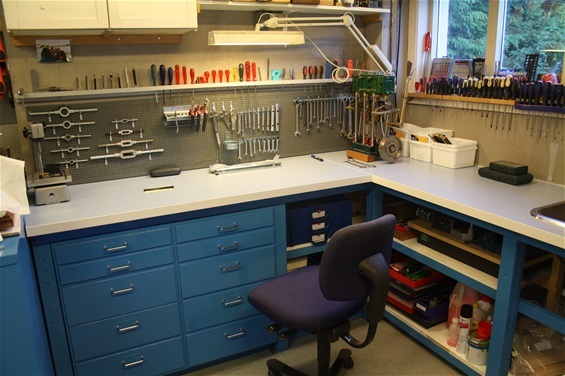 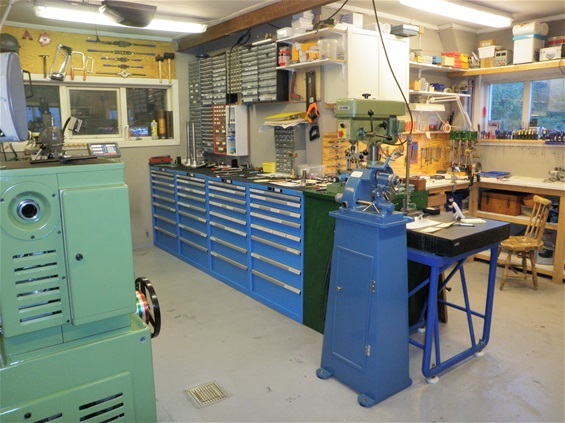 New upgraded workbench august 2014. 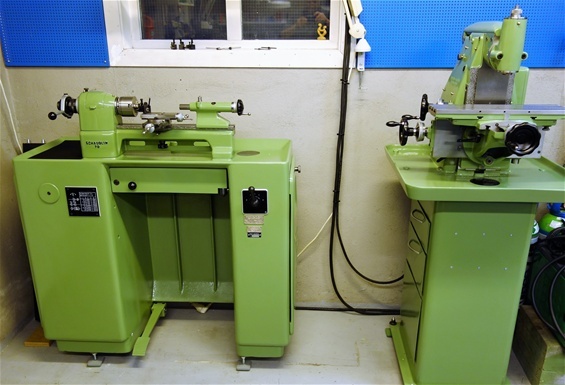 Deckel FP3 CNC 2102 and Opus Brevettata filing machine. 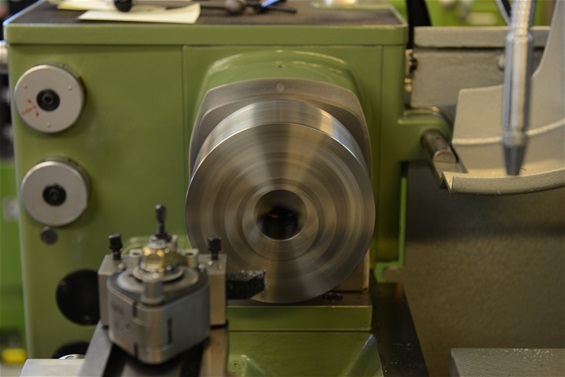 Aciera 22 VA, 37-4000 rpm. 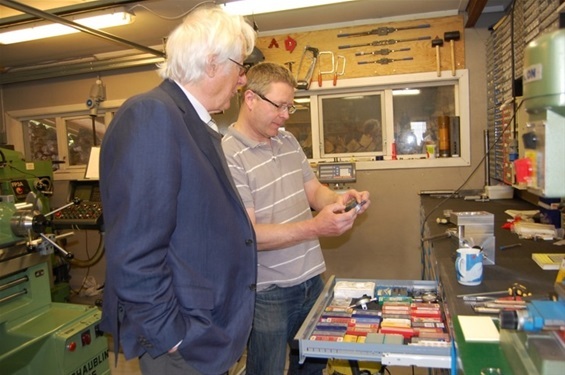 Professor Alastair Hannay pays a visit to my workshop. 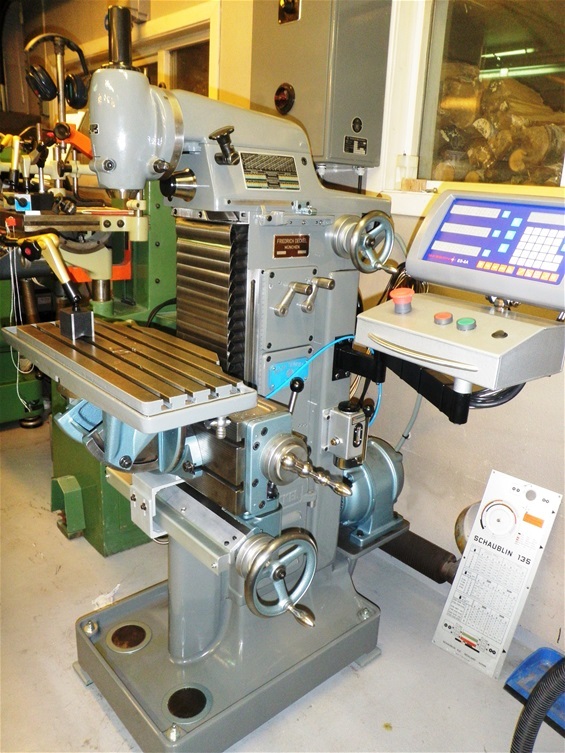 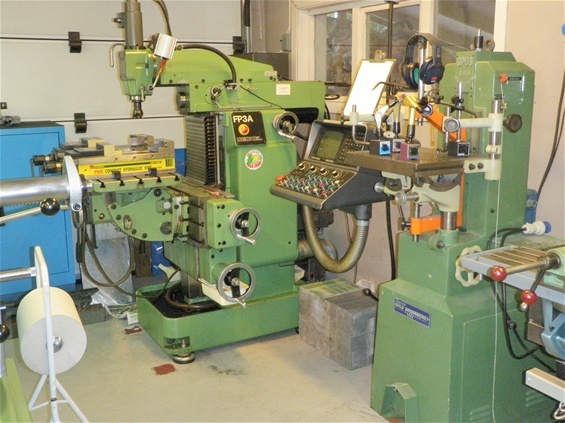 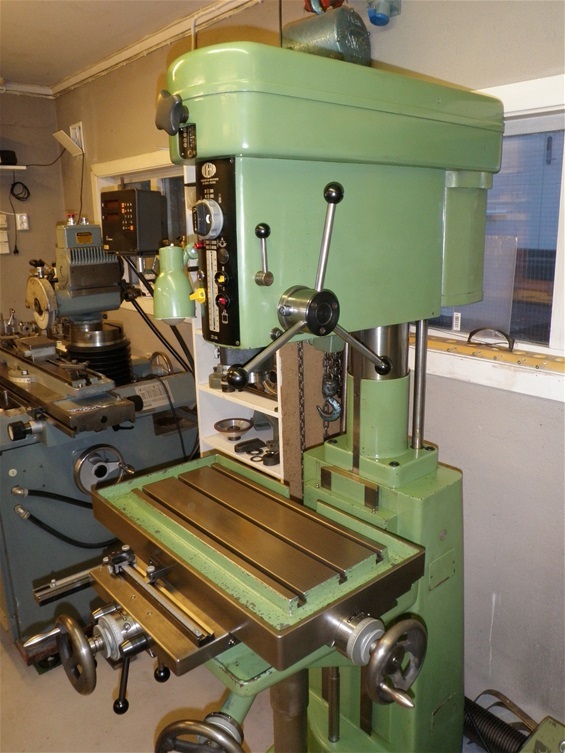 Deckel SO, Ixion drilling machine 900-10000 rpm. 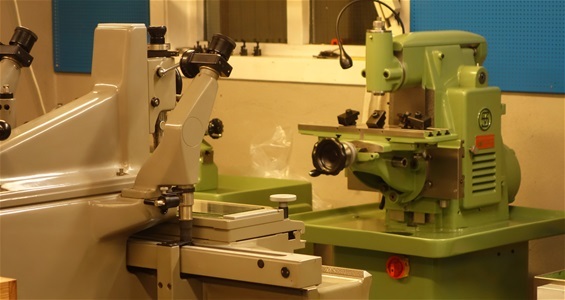 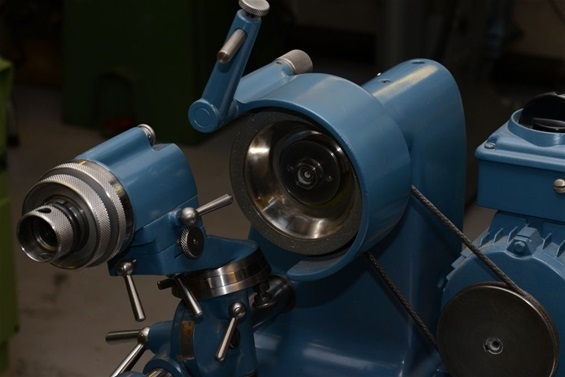 Hensoldt Wetzlar center microscope, and the Hoffman dividing head. 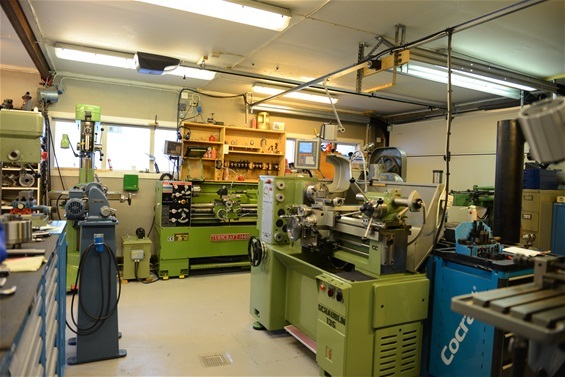 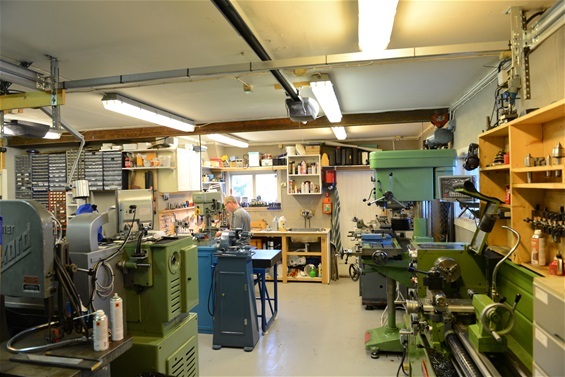 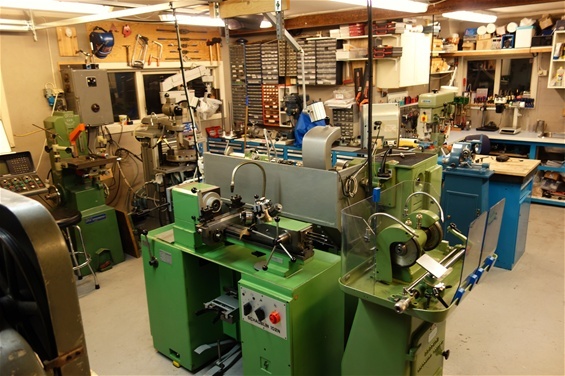 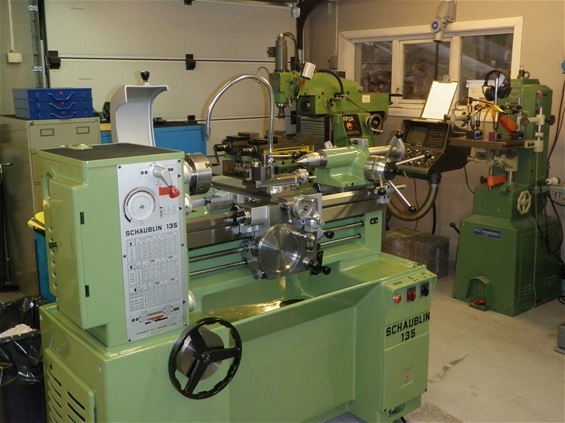 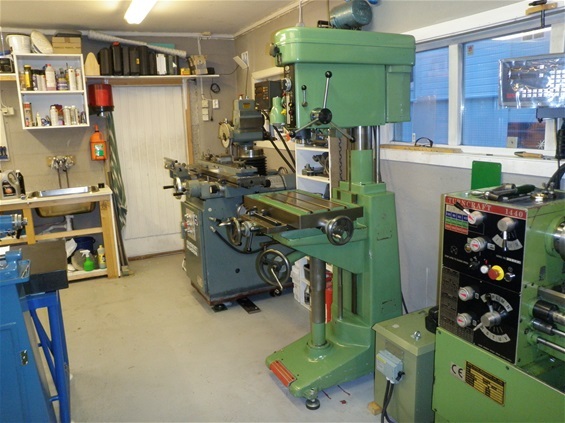 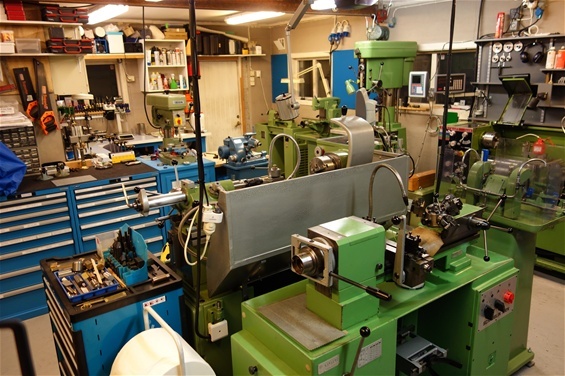 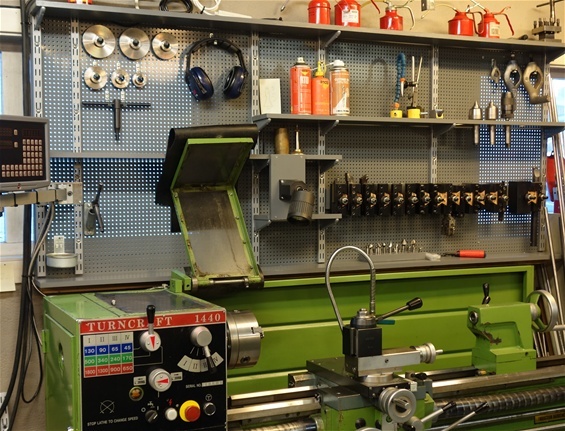 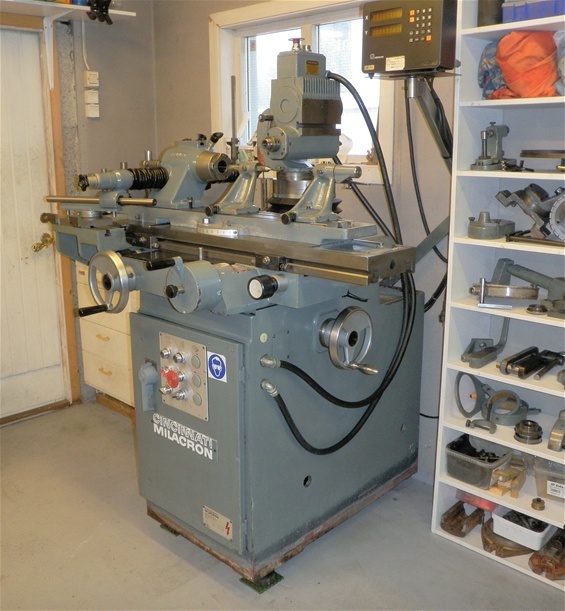 Just visible to the left is the Mössner Rekord bandsaw. 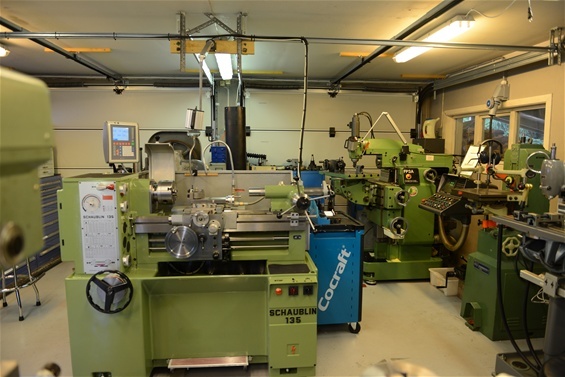 The Turncraft 1440 made in Taiwan is one of my few far east made machines. 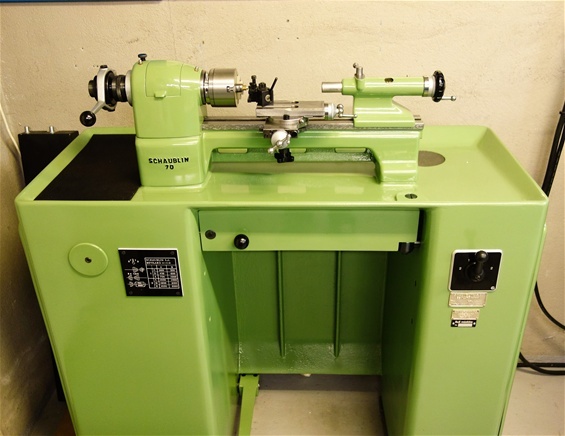 A perfect machine for less delicate work.